Each piece offered by SORS Privatiselectionem is handcrafted and made to order, so naturally, we can offer you bespoke material finish options and dimensions. Each piece varies and it, therefore, one of a kind. Cabinet Sinatra in solid walnut wood. With 2 doors with polished brass handles. Bottom of the piece covered with genuine leather. 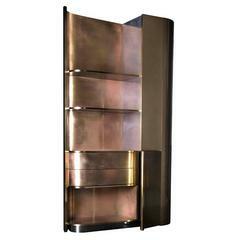 Structure in polished brass. 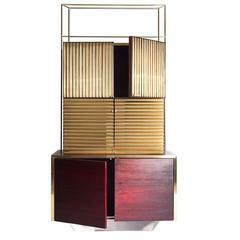 Cabinet brass tubes with polished brass tubes gold-plated with exotic wooden structure. With 2 glass shelves and 5 drawers. 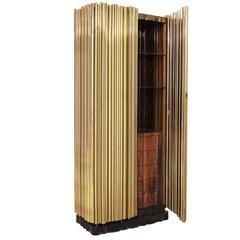 Pair of rattan cabinets with interior glass shelf and brass detail.